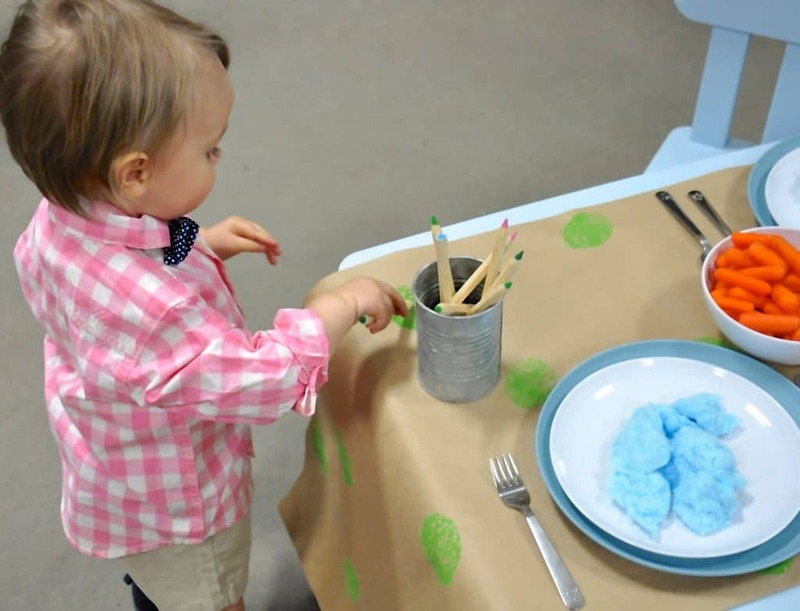 You are here: Home / Create / Easter Brunch: Toddler Table! We’ve dubbed this the ‘Toddler Table’. The adults aren’t the only ones who get to have fun! Did you see the Easter brunch ‘Grown-Up table’ my friend, Edmonton Designer and Florist, Cory Christopher and I put together? Well, we wanted to create something special for the kids too! 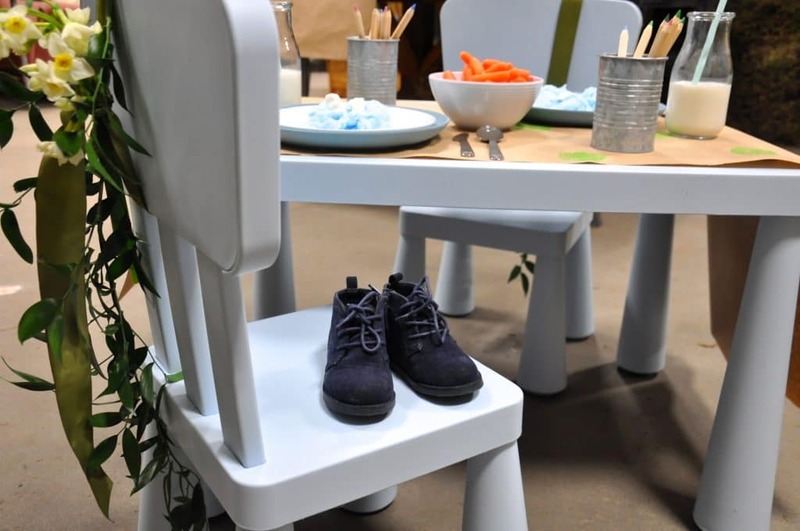 So often the kid’s table is an afterthought and it really can throw off your whole look. 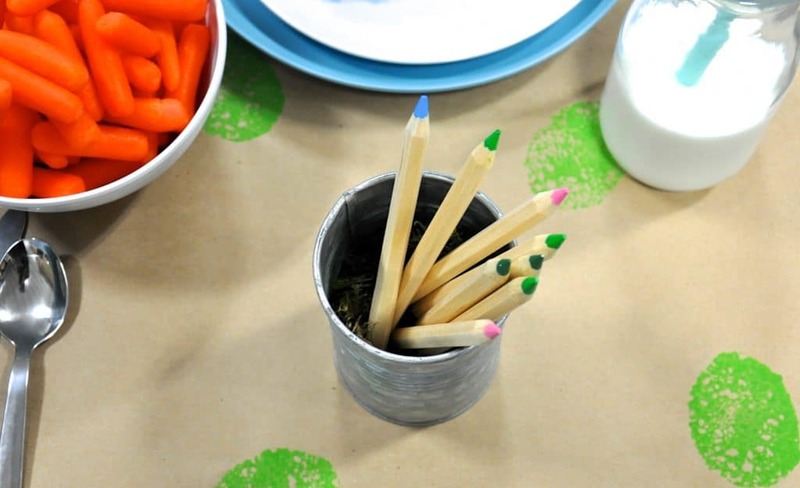 Keep that beautiful, cohesive feel going, even if the kids mess it up soon after! 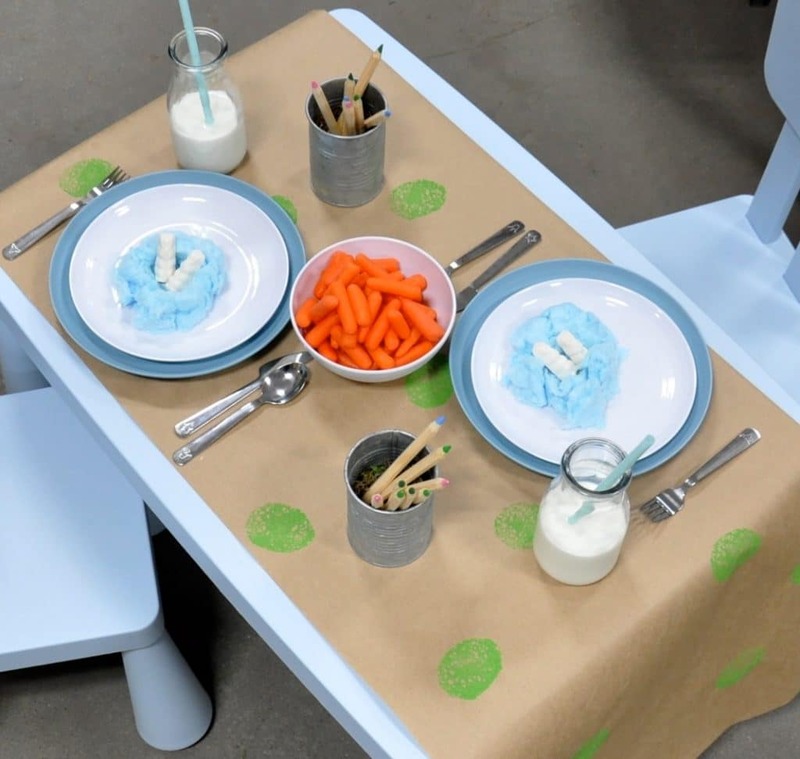 We wanted to play off the grown up table and keep the same vibe but have a bit more fun! So, we kept with the same natural, paper roll table runner but just decorated with eggs which were sponge painted on. 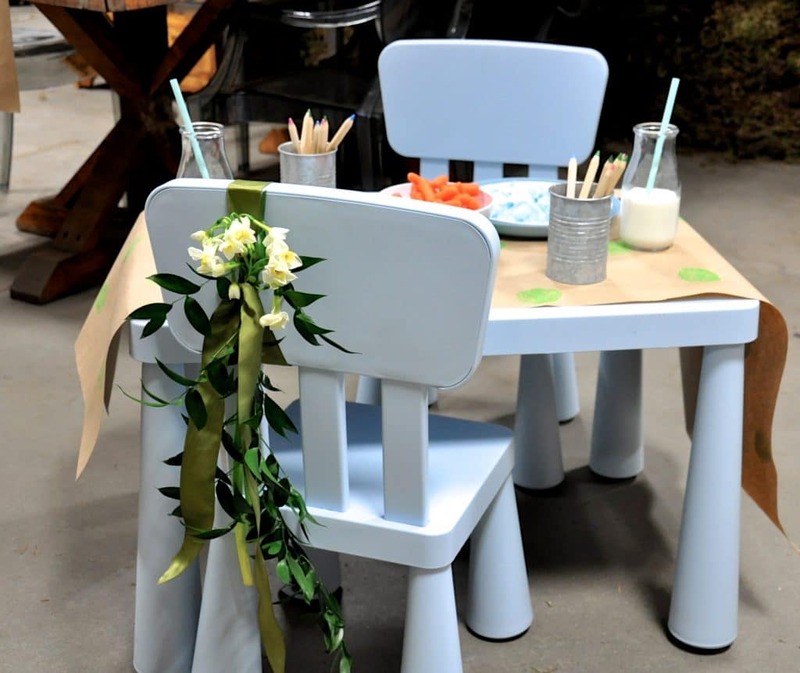 This adorable blue table and chairs is from Ikea. The pastel blue is perfect for Easter and also comes in baby pink and light green. We wanted to have nice tableware for the kids too, but obviously not too nice in case it got broken. 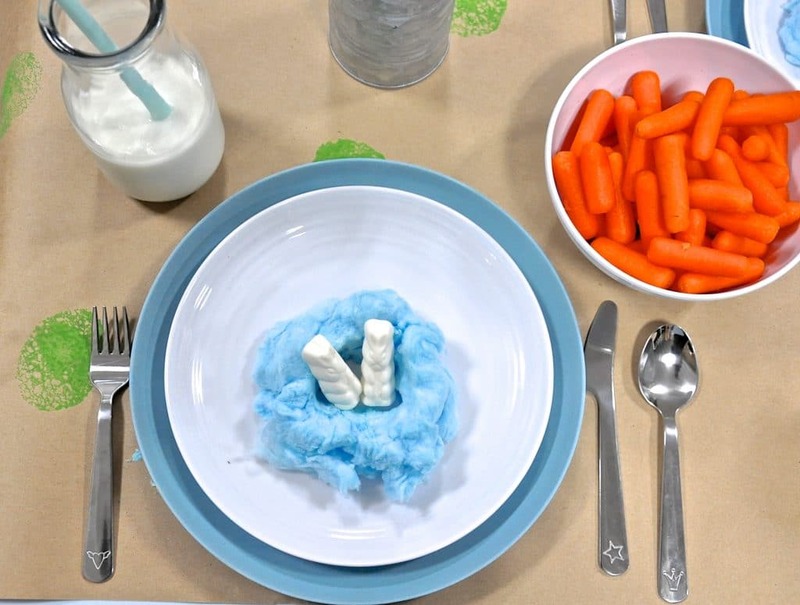 The white plastic plates and bowl for the carrots are from The Dollar Store. 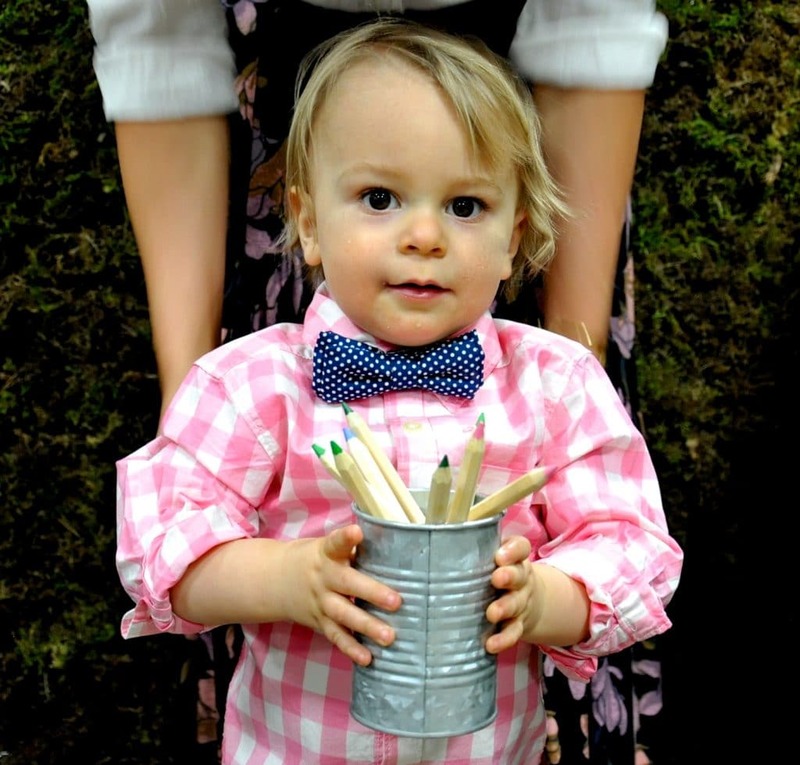 The toddler-approved flatware, blue straws and the coloured pencils are from Ikea. The tins for the coloured pencils are from Michaels. 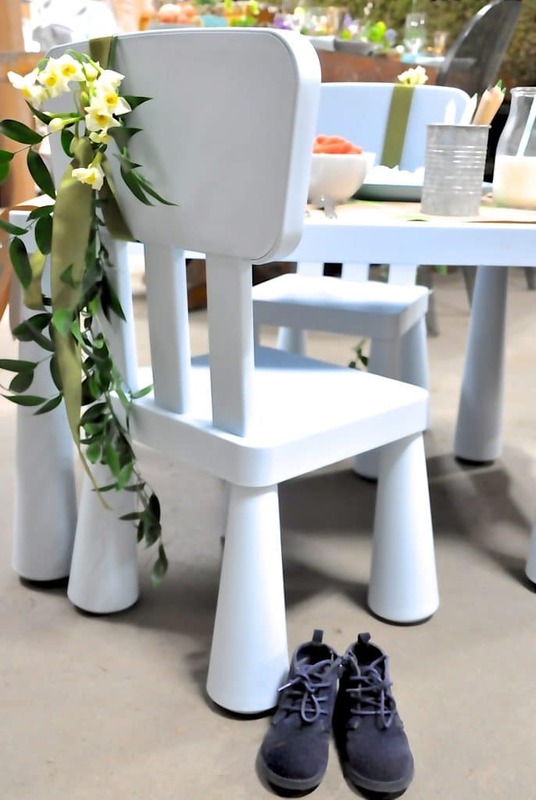 Cory dressed the kid chairs with blooms and greens. 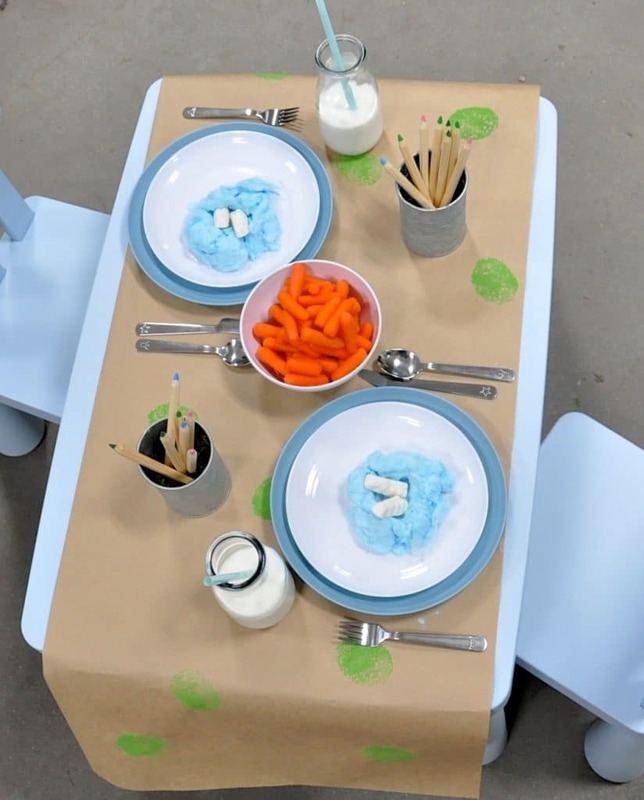 Again, playing off our Grown-Up Table to tie everything together. 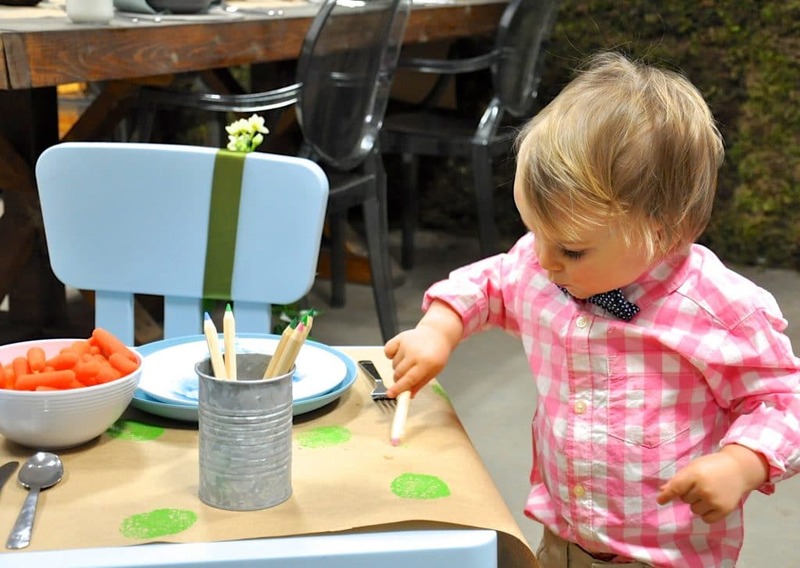 We made sure there was a nice balance of treats and healthy snacks on our toddler table. 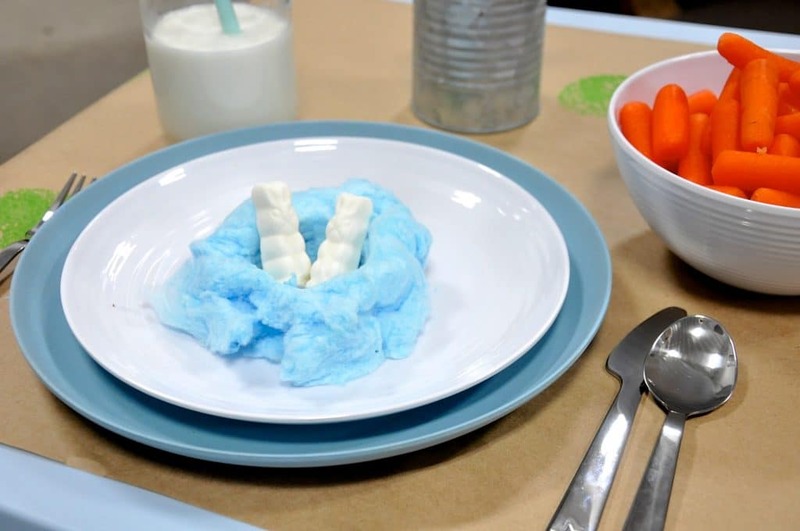 We made a nest out of blue cotton candy filled with white marshmallow bunnies from The Dollar Store. The whole toddler table, including the table and chairs was under $100. Bonus: you can use most of this stuff again. Don’t you just love celebrating the holidays with your kids? It makes things that much more special. Here’s to creating many more beautiful memories! Happy Easter! 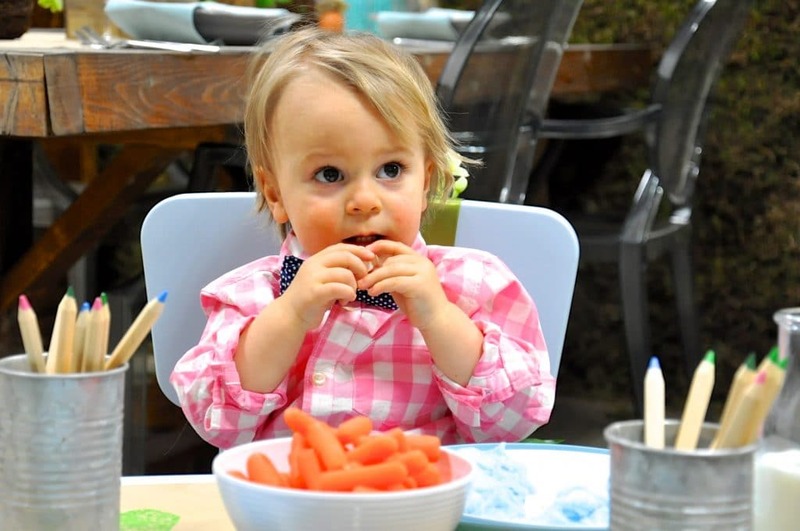 For more advice on Easter brunch tablescape – check out Cory’s blog! Wow!What a pretty idea. Something really unique. I love it. Must say kids must love it.